My 5 year old daughter Aubree wanted to dress up as a scary doll this year. She came up with the idea herself and searched the internet by herself and decided she wanted to be the doll from the hit movie Annabelle Creation. The outfit was very easy to make and the dress was only 14.99 on Amazon. 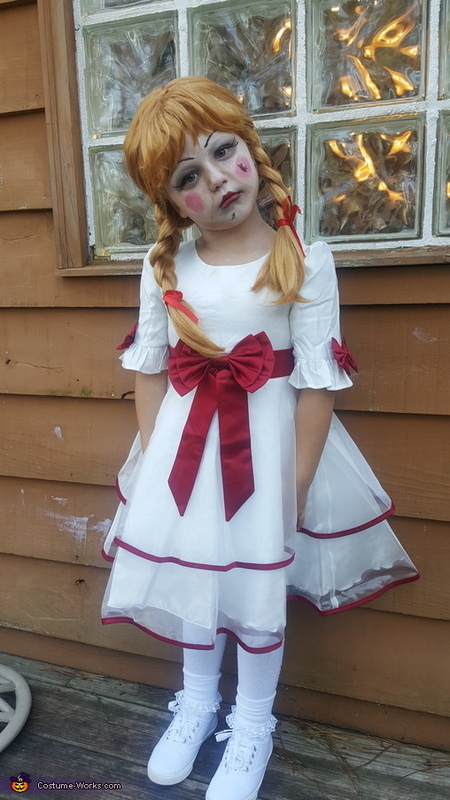 The costume was a big hit this year and was very fun the play the role of a possessed doll.